Dr Ronald de Bruin was appointed Director of the COST Association on 1 June 2016. Before joining the Association, Ronald was Director of the European Institute of Innovation and Technology (EIT) and Head of Department of the European Network and Information Security Agency (ENISA). For almost eight years, he played a key role in and managing and setting up these European Union agencies from scratch. Prior to this, he was Deputy Director of a public-private partnership platform for the Information Society in the Netherlands for over three years. His main responsibilities included drafting the annual work programs including public-private partnership projects, managing the implementation of national multi-stakeholder projects, and coordinating EU-funded projects. For almost three years, he worked for a global .COM company with top-100 clients. During his one-year stay as manager at KPMG, he worked on developing e-security services for the growing e-commerce market. He started his career as Policy Advisor for the Dutch national government, where, for three years, he was responsible for developing a national policy on e-security services, and scenarios for introducing digital TV. He is Ambassador to Brussels for the Greenleaf Center for Servant Leadership Europe and Founding Director of the Greenleaf Center in Brussels. 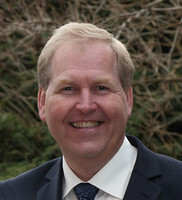 Dr De Bruin has also authored several books on servant-leadership, digital television, online consumer trust and computer security. He holds a Ph.D.in Law and Computer Science, an M.Sc. in Technology Management and a B.Sc. in Electronic Engineering. For more than 45 years, COST offers European scientists a simple and flexible solution to quickly identify and participate in the best European science and technology teams and networks. To this end, COST provides funding for bottom-up, excellence-driven, interdisciplinary, open, pan-European networks (COST Actions). These networks are used to initiate all kinds of cooperation including capacity building and training activities. They produce a wide range of outcomes from joint publications to successful proposals to ERC or larger EU projects, aimed at solving Europe’s societal challenges. COST Actions gather researchers from all career levels, from PhD students to Nobel Prize winners. COST is an efficient framework in funding networking of all types of participants achieving relevant outputs – from breakthrough research findings to the improvement of Europe’s competitiveness and welfare. Thanks to its bottom-up, interdisciplinary and collaborative approaches, COST is a crucial player in establishing the ERA. The added-value of COST lies in the fact that coordination efforts are driven by the needs of science communities through a bottom-up and open mechanism, allowing unforeseen collaborations to be developed. It involves excellence-focused European and international partners, benefiting from unparalleled mutual scientific cooperation opportunities. COST represents a clear European added value as it is the sole pan-European framework fostering open and bottom-up S&T cooperation networks – easily encompassing transdisciplinary research, driven by researchers’ needs. Its focus on excellence, openness and inclusiveness has proven to be a successful formula over many years. Additionally it is fully bottom-up from a scientific point of view and provides a coordination and leverage tool for national and European funded research, resulting in expandable and flexible S&T networks. For Horizon Europe, COST is committed to reinforce its role by strengthening its core business, expanding the number and reach of COST Actions and providing new services. A significant need for an increase in budget will help to scale up its activities to reach its full potential as a leading network instrument in the ERA. In 2017, 260 COST Actions were running, with more than 45,000 researchers involved. As an example, the COST dedicated session with 5 COST Actions on how to overcome the fragmentation of funding for Cultural Heritage research activity in the context of Horizon Europe, networks more than 140 researchers and innovators. Dr. Robert Sanderson is the Semantic Architect for the J Paul Getty Trust, with responsibility for the design and direction of cultural heritage data information systems spanning the Museum, Research Institute, Conservation Institute and Foundation. His main goal is to find the right balance between ease of publication and consumption of data, and the precision of the data’s semantics. He is one of the driving forces behind https://linked.art/, a community of memory organizations focused on using Linked Open Data to describe cultural heritage objects in a usable, useful way. 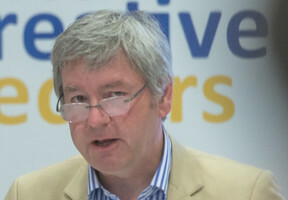 He is chair of the JSON-LD work in the W3C and proposed chair for the W3C Art & Culture community group, is a specification editor and community leader in the IIIF community (http://iiif.io/), and on the advisory boards of many projects in the cultural sector including the American Art Collaborative and Annotating All Knowledge projects. In his previous position as Standards Advocate at Stanford University, he was involved in the BibFrame ontology with the Library of Congress and many semantic digital library projects. He has also been a Research Scientist at Los Alamos National Laboratory, and a lecturer in Computer Science at the University of Liverpool. The problem with getting a lot of very smart people in a room to solve a problem is that the solution may only be implementable by organizations with a lot of very smart people. A solution that is too specific and too complete can only be used to solve that one problem, at great expense. There is no room for adopters to solve their own problems, nor to contribute to the solution. Many digital cultural heritage solutions intended for broad usage have fallen into this trap, and seen minimal adoption despite extensive funding and dedicated effort. Instead of more and more specific solutions, general frameworks that allow adopters to customize their use and adapt over time to evolving best practices have been significantly more successful. The focus should be the on the utility and usability of the framework in which problems can be solved, by non-specialists that have actual problems backed by real content. The only digital cultural heritage context in which "Build it and they will come" is true is when "it" is a community. A good enough end-to-end solution, with the social support to assist with and encourage adoption, has generated far greater levels of interoperability and exchange of data. In this keynote, Dr. Sanderson will speak to these topics using as example the evolution of the Semantic Web through Linked Open Data and now towards Linked Open Usable Data, or LOUD. Relevant communities include JSON-LD, IIIF, linked.art, Open Annotation and the Google-backed schema.org. The emphasis will be on the challenge of finding the right balance of functionality versus ease of adoption, and of processes that encourage broad participation but do neither get mired in discussions nor require the constant attention of experts to keep up. Craig Knoblock is a Research Professor of both Computer Science and Spatial Sciences at the University of Southern California (USC), Director of the Artificial Intelligence Division at the Information Sciences Institute, Research Director of the Center on Knowledge Graphs, and Associate Director of the Informatics Program at USC. He received his Bachelor of Science degree from Syracuse University and his Master’s and Ph.D. from Carnegie Mellon University in computer science. His research focuses on techniques for describing, acquiring, and exploiting the semantics of data. He has published more than 300 journal articles, book chapters, and conference papers on these topics. 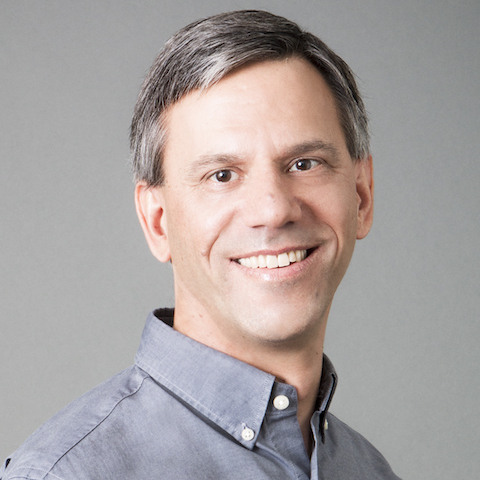 Dr. Knoblock is a Fellow of the Association for the Advancement of Artificial Intelligence (AAAI), a Fellow of the Association of Computing Machinery (ACM), past President and Trustee of the International Joint Conference on Artificial Intelligence (IJCAI), and winner of the 2014 Robert S. Engelmore Award. Over the last few years we have been mining data from various web sources to create applications that address a variety of real-world challenges, including combating human trafficking, identifying illegal arms sales, and predicting cyber attacks. In one application, we developed a system that aggregates data from online web ads to provide a tool for law enforcement agencies to find and prosecute human traffickers. In a second application, we mine data from a combination of the deep and dark web to identify patterns in the data to make predictions about likely targets of cyber attacks. And in a third application, as part of the American Art Collaborative, we developed the technology to build linked data from the data of 14 museums to create integrated applications about artwork, such as building virtual museums. In this talk I will describe these applications, the underlying technologies used to build them, and how these same technologies could be used to combat the illicit trade in cultural heritage objects. For example, the same tools for creating linked data about artwork could be used to create an integrated set of linked data about stolen cultural heritage objects, making it easier to identify and return stolen objects. Similarly, the tools for mining the dark web for predicting cyber attacks could be used to identify and track the illicit trade in cultural heritage objects that is occurring in the dark web. And, the combination of linked data and blockchain technologies could be used to track the sale of objects and provide guarantees about the provenance of a given object to avoid later surprises. As Director of the Smithsonian’s Digitization Program Office (DPO), Diane Zorich leads an expert team in digitizing Smithsonian collections to maximize their impact for the public. 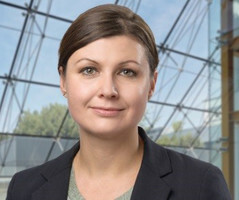 She oversees mass digitization, 3D digitization, and digitization assessment activities that develop and improve digitization processes across the Institution. Through partnerships and collaborations, she and her team ensure that digitized Smithsonian collections can be used with existing and emerging technologies to enable creativity, learning, insight, and innovation. Prior to joining the Smithsonian, Diane worked as a cultural heritage consultant specializing in the digitization and delivery of cultural heritage online. She also served as data manager for the Association of Systematics Collections in Washington, D.C., and documentation manager at the Peabody Museum of Archaeology and Ethnology at Harvard University. 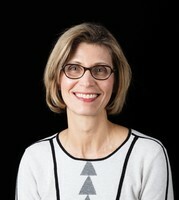 She is past president and board member of the Museum Computer Network, and has published extensively on digitization, digital humanities centers, GLAM collaboration, museum information policy, and intellectual property policy in the cultural heritage sector. The Smithsonian Institution is the world’s largest museum and research complex, with 19 museums, 9 research centers, a zoo, and research programs in over 100 countries. Distributed across this complex are 155 million objects and specimens that represent everything from art to zoology. The scope and size of these holdings presents a unique digitization challenge for the Institution. In early 2018, the Smithsonian developed a strategic plan that reimagined its mission “to increase and diffuse knowledge,” calling for greater engagement on digital platforms and spaces that audiences prefer such as social media; gaming, virtual, and augmented reality environments; education and research platforms; maker spaces; etc. This approach represents a cultural shift for the Institution, which traditionally digitized collections for use on its own web sites, apps, and in-house systems. The new focus on “meeting audiences where they are” presents an exciting opportunity, and expands our digitization challenge as we consider new ways of digital asset delivery and consumption.. This presentation will outline how the Smithsonian’s Digitization Program Office (DPO) is meeting the challenges of the Smithsonian’s new strategic plan. Founded in 2010, DPO promotes “discovery through digitization” by increasing the quality, quantity, and impact of the Institution’s digitized collections. Its four programs – assessment, mass digitization, 3D digitization, and impact - create the digital “building blocks” that enable audiences to use Smithsonian collections. To support the Institution’s strategic goal of greater engagement, DPO is exploring novel ways to digitize and deliver collections on non-Smithsonian platforms and spaces to increase the impact of its collections for research, education, innovation, and enjoyment. 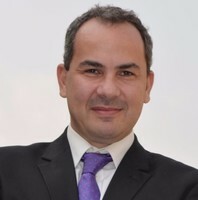 Dr. Kyriakos Efstathiou is Professor of Mechanical Engineering at the Aristotle University of Thessaloniki and Director of the Laboratory for Machine tools and Manufacturing Engineering of the Department of Mechanical Engineering of the Aristoteles University Thessaloniki. He received his Diploma of Mechanical Engineering from the University of Stuttgart and Ph. D. from the Aristotle University of Thessaloniki in Mechanical Engineering. His research focuses on rapid prototyping, reverse engineering, X-ray and neutron tomography, Machine tools, manufacturing technology, CNC technology, CAD/CAM systems, CIM systems and on archaeological object’s investigation and reproduction of accurate copies, He has investigated and manufactured exact copies of archaeological findings, such as the Antikythera Mechanism, the vaginal speculum of Dion etc. and has organized related exhibitions. He was invited to give lectures in all over the world and was invited το present his researches in telecasts. He has published more than 200 journal articles, books and conference papers on these topics. He was coordinator or member of the research group in more than 30 research projects. He has organized many international and national scientific conferences. 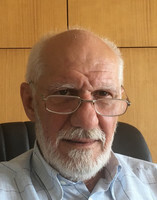 Dr. Efstathiou is member of the Greece Permanent Commission for the History of Mechanism and Machine Science of the IFToMM (International Federation for the Promotion of Mechanism and Machine Science). The Antikythera Mechanism is universally considered as the greatest technological achievement of antiquity. It is as important for the development of Technology as the Acropolis for the development of Architecture. No ancient mechanism matching its complexity and functions has been found up to now. This raises the reasonable question of what was the technical infrastructure at the time when the Mechanism was built and what happened to the knowledge and the art that it reveals. The Antikythera Mechanism was an analog computer with an amazing technology. Built 2200 years ago it was used for the exact calculation of the position of the Sun, the Moon and possibly the planets in the sky, counting the phases of the Moon, provided data for eclipses of the Sun and the Moon and identified the start date of the ancient Panhellenic games (e.g. the Olympic games). Various investigations have shown that the Antikythera Mechanism contained at least 39 cooperating gears and 7 pointers. The rotation of anyone of the gears or anyone of the pointers gives movement simultaneously to all gears and therefore to the seven pointers which display various astronomical phenomena in corresponding mathematical scales.The operator, by turning the shaft on which the Moon pointer is mounted rotated the pointers and according to the required calculation, placed the corresponding pointer to the correct position. For example he could select, via a pointer (e.g. the Sun pointer) any day among the 365 inscribed in the outer annual scale of the front plate of the Mechanism and read the calculated, for this day, astronomical phenomena, by observing the indications of the other pointers. Conversely, one could choose a specific astronomical phenomenon in any of the other 6 scales to see when it will happen. The lecture will cover three areas: a) The use of the Mechanism, its operation and its construction and reconstruction b) Technological achievements of the 2nd century BC discovered in the Antikythera Mechanism, which displace the birth of technology backwards by many centuries. The conclusion is that our ancestors in the 2nd century BC possessed a very advanced scientific and technological knowledge far superior than we thought they had until the discovery and decoding of the Antikythera Mechanism. They were able to transfer scientific knowledge in computing engines using advanced technology. The history of technology should be rewritten and c) Technologies and techniques of the 21st century, which were used for the decoding of the Antikythera Mechanism and for the construction of its physical models. Charalampos Chaitas is currently an Executive Director for Culture, Arts and Education for Qiddiya, a 2030 vision new city in the south west of Riyadh, Saudi Arabia initiated by Public Investment Fund (PIF). His main role is to develop landmark facilities, create dedicated schools and training programs and promote world-class events and participation that will result in extraordinary experiences, capture and stimulate demand for arts & culture, and foster the organic growth of local talent and programs. Prior to joining Qiddiya he was the Director for the Operational Management Consultancy of the Grand Egyptian Museum. 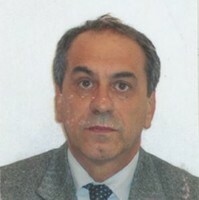 He is also the Treasurer of the ICOM’s International Committee of Architecture and Museum Techniques (ICAMT) 2013-2019. His career includes collaborations in museums and cultural centers in European countries and countries of the Middle East. Very often he gives lectures in universities and facilitates specialized workshops for students and young professionals. The opening of the Louvre – Abu Dhabi marks the beginning of a new era in the Arab world that comes after a period of political instability and uncertainty in some countries but together with the announcements of visions for 2030 for other countries. In the last 15 years the Arab countries have made many steps towards expressing and presenting arts and heritage widely while they have been preparing to be part of the global map in these sectors. In 2005 Abu Dhabi, inspired by the “Bilbao effect”, introduced an extensive version of it within a development project in the island of Sayed, in the “Sayed Cultural District”, which Louvre Abu-Dhabi is part of, together with other four leading institutions. Qatar came to be the first buyer of art and heritage artifacts in the period between 2005 and 2012 while the country engaged actively with international organization such as UNESCO. Egypt inaugurated the new National library in Alexandria, “Bibliotheca Alexandrina”, in 2008 and launched the Grand Egyptian Museum as the leading museum of the country that will host the complete Tutankhamun collection located 2 kilometers far from the Giza Pyramids creating a unique destination, currently under construction. Saudi Arabia has introduced an ambitious 2030 vision with culture and arts as one of its pillars striving to develop a “vibrant society, thriving economy and an ambitious nation”. The paper will make reference to other countries as well, namely Morocco, Bahrain, Oman, Kuwait in relation with international currencies in China and the western European countries and the United States. The aim is that through an extensive reference to the socioeconomic profiles of the relative young Arab population the paper to activate the discussion on how scientific achievements can be communicated and used widely as a dipole link between west and Arab culture via lifestyle trends in the use of social media. Joan Cobb is a Principal IT Project Manager with the Getty Digital division of the J. Paul Getty Trust. Since joining the Getty in 1990, she has, in addition to other projects, played a primary role in the design and development of the custom software needed to support the growth and usage of the Getty Vocabularies as well as leading the project to publish the Art & Architecture Thesaurus® (AAT), the Getty Thesaurus of Geographic Names® TGN), and the Union List of Artist Names® (ULAN), as Linked Open Data. Joan currently is dividing her time between the moving of the Getty Conservation Institute’s AATA Online to the Arches open-source platform and helping internal and external resources link their data with and contribute to the Getty Vocabularies. Joan came to the Getty with a varied background in programming and design experiences ranging from academic and medical research to energy management and hazardous chemical tracking. She began her career in software after more than a decade as a teacher and master teacher with the public school system and government/industry sponsored programs. The Getty Vocabularies have been produced and maintained for decades by the Getty Vocabulary Program, which is part of the Getty Research Institute (GRI). They are compliant with ISO and NICO standards for multilingual thesaurus construction and contain terminology and other information about people, places, objects, and art-historical and conservation concepts. They are compiled resources and grow through contributions from various Getty projects and from many external institutions. Although there are now five vocabularies, this talk will concentrate on the three that have been released as Linked Open Data. They are the Art & Architecture Thesaurus (AAT)®, the Union List of Artist Names (ULAN)®, and the Getty Thesaurus of Geographic Names (TGN)®. These three vocabularies were the first to be released because they are used universally in the cultural heritage and library communities and represent best practice. The presentation will show examples of how AAT, TGN and ULAN are used and to highlight reasons why they have become such valuable resources. It will provide an overview of some of the major challenges and lessons learned since the vocabularies were made available as LOD. Topics will range from reconciling external resources with the Getty vocabularies to strategies for simplifying the process for cultural heritage organizations to contribute their data and the need to easily and quickly provide contributors with the information they need to insert the link into their collection management systems. The goal is not only to work with the community to help everyone make the best use of the LOD datasets, but to make sure the datasets themselves continue to grow through contributions. 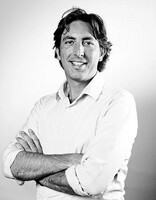 Harry Verwayen- Executive Director Europeana Foundation, the operator of the Europeana platform. Across Europe, museums, galleries and archives digitize their collections. Europeana supports these organisations in their digital transformation by making these collections available as widely as possible so that people can find and use them. For work, for learning or just for fun. Our work is guided by creative collaboration, supportive teamwork and the idea that sharing and reusing cultural content can positively transform the world. Prior to this Harry worked at the Amsterdam based think tank Knowledgeland where he was responsible for business model innovation in the cultural heritage sector. Harry holds a MA in History from Leiden University and has worked over ten years in the Academic Publishing Industry. Mediocre tennis player, reasonable cook, aspiring photographer. Accessibility: the past decades museums, libraries and archives have digitized vast amounts of objects. But far too little has been made available in formats that are technically and legally reusable on the web. In order to play a key role in the era of big data and AI we will need to speed up our efforts in order to stay relevant. Networks & communities: in contrast to the US which has a strong culture of corporate entrepreneurship, Europe’s strength lies in its ability to forge networks of excellence. This allows for very flexible ways of solving common problems and for quick access to specialised resources. But the success of this model depends on our ability to negotiate shared standards, a common infrastructure and shared values. Empowerment: a key part of the digital transformation is that it enables active cultural participation. As cultural institutions we need to invest in platforms and formats of engagement that empower culturally minded citizens to interact and express themselves through culture. Koenraad Van Balen graduated as an Engineer Architect at the KU Leuven (Belgium) in 1979; he obtained a post-graduate degree in architectural conservation in 1984 and he obtained a Ph.D in Engineering in 1991 at the KU Leuven. 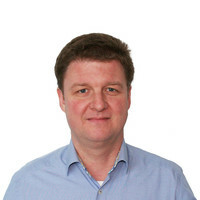 He is a full-professor at the KU Leuven in the ivil Engineering department. Van Balen carries out research and teaches on binders, masonry and sustainable construction methods. He is the director of the Raymond Lemaire International Centre for Conservation (RLICC) at the University of Leuven. He is the holder of the UNESCO Chair on preventive conservation, monitoring and maintenance of monuments and sites since 2008. He is a member of ICOMOS and was the first secretary-general of the International Scientific Committee on the Analysis, Repair of Structures of the Architectural Heritage (ISCARSAH). He has long been member of the general assembly of Monumentenwacht Vlaanderen. He is or has been an advisor to, amongst others, the Council of Europe, the European Commission, and the Getty Foundation. In 2002-2003, he was a visiting scholar at the Getty Conservation Institute in Los Angeles. He supervises research carried out at the Raymond Lemaire International Centre for Conservation related to various aspects of investigation, valuing and managing (World) Heritage. Amongst others he coordinated the research carried out by the RLICC on Heritage Counts for Europe in collaboration with Europa Nostra. He is member of the Scientific Committee of the European wide research coordination initiative “Joint Program Initiative: Cultural Heritage (JPI-CH)”. Preventive conservation has been identified to be a most effective strategy in managing and preserving cultural heritage. Research within the UNESCO chair on Preventive Conservation, Monitoring and Maintenance of Monuments and Sites (PRECOM3OS) has identified in which way and to what extend such strategy requires a systemic approach. This approach requires –amongst others- specific tools for monitoring cultural heritage objects and sites and for identifying and managing heritage values and risks that threaten those values. In the field of the immovable heritage the (location based) values have the potential to contribute to (local) sustainable development considering the preservation approaches are based on an integrated and holistic perspective that put local sustainable development at the core and that understands which flanking efforts and resource streams are necessary to generate this conditions for a sustainable preservation of cultural heritage. This vision echoes with the upstream approach mentioned in the very influential “Cultural Heritage Counts for Europe” report published in 2015 under the leadership of Europa Nostra. Societal changes and the progress in insights gained, do impact the way we conceive and manage Cultural Heritage. Today this implies the seek for innovative governance models that acknowledge the variety of roles that stakeholders and various actors have to play in understanding heritage values and in decision making processes. All these aspects of the management of cultural heritage monuments and sites (and they will keep on changing in the future) challenge the communities dealing with cultural heritage but they also shape the digital tools we use and will be using to preserve cultural heritage for next generations. The Carabinieri Command for the Protection of Cultural Heritage is the first Police Specialized Unit created with the sole aim to contrast the illicit traffic of Cultural Property. Its structure and tasks have evolved during the years, and its operative results demonstrates the effectiveness of its system. Its most significant tool is the database of illegally removed cultural artifacts “Leonardo”, the biggest database of “stolen works of art” in the world. In 2015, in answer to the increasing threats to Cultural Heritage of Humankind, Italy created the Task Force “Unite4Heritage” (TF U4H), a rapidly deployable unit composed by personnel of the Carabinieri TPC and experts of the Ministry of Culture, that can be sent anywhere in the world (given a security framework) in order to help local authorities in protecting cultural property in danger. The first intervention of the TF U4H, however, was in Italy, in the areas hit by the earthquakes of 2016 and 2017. The intervention of the TF allowed the recovery of all the movable Cultural Property in the area, more than 28000 objects. Two members of the TF are now in Iraq, starting the cooperation work with local authorities in order to assess the damage carried out by ISIL and contrast the looting and the illicit exportation still ongoing in the area. Nada Hosking is currently the Director of Programs and Partnerships at Global Heritage Fund (GHF), where she has been leading strategy, activities, and fundraising for projects and programs since 2015. 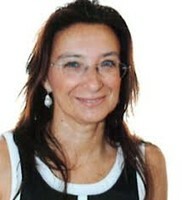 In her current role, Nada works to connect multiple stakeholders on large-scale international initiatives and programs. Nada plays a central role in the development of a technology platform for the better management, protection, and recovery of cultural heritage. The program, AMAL in Heritage, is an initiative by GHF and other international heritage institutions, and aims to address heritage sites endangered by conflict and natural disasters. Nada’s role is to oversee the process of creating a mobile and web application to rapidly assess impacts and collect data in the immediate aftermath of a disaster, preserving crucial information for future repair and reconstruction of damaged heritage areas, buildings, and artifacts. 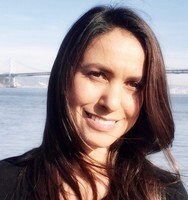 Nada holds a degree in Anthropology and History of Art from the University of California, Berkeley, where her research focused on the use of new technologies to create digital records of archaeological sites and the archaeological process in order to deal with the destructive nature of excavations. Over the past decade, disasters affecting the world’s cultural heritage have accelerated. Cultural heritage continues to be used as a weapon of war, and threats ranging from environmental calamities and climate change, the indiscriminate development of infrastructure, agricultural activities, and over-tourism are making the task to protect heritage more daunting than ever before. Current documentation initiatives are limited. First, the sources they use are often inaccessible— some are primarily based on aircraft and satellite data while others rely on ground data and/or training of a limited number of heritage professionals around the world. Some tools for capturing data are still paper-based and require practitioners to input information into databases that are often too complex to use. Historically, approaches to this problem have revolved around creating a comprehensive system that could be adopted by all relevant actors. But because the nature of the problem lies in the plurality of inputs, actors, and technology, this one-size-fits-all solution can never encompass the full scope of activities documentation for which is required. This paper posits that connecting existing initiatives in a way that bridges gaps and links platforms and programs will be more comprehensive and accessible than a single solution could be, increasing the efficacy of heritage documentation efforts. Further, by offering tools and training aimed to empower communities to document and digitize their own heritage, these initiatives can achieve greater usage and utility throughout the world. Creating a systematic standard of documentation and building partnerships that connect the various initiatives currently tracking and documenting cultural heritage under threat are important in forestalling future disasters and providing help to stewards of heritage where they need it most. This presentation will explore an open source project developed by Global Heritage Fund (GHF) and Endangered Archaeology for Middle East and North Africa at Oxford (EAMENA). The collaboration aims to create an interoperable tool that connects GHF’s data collection application with the EAMENA database. As an open-source project, both organizations hope to use this framework to allow bona fide users of any existing tools or databases to integrate the field data they gather for inventory purposes, need assessment, and post-disaster response. Eleanor E. Fink is the founder and manager of American Art Collaborative Linked Open Data Initiative, a consortium of fourteen museums interested in erasing data silos to provide seamless access on the subject of American art across museum collections. She has held senior positions at the Smithsonian Institution, J. Paul Getty Trust, and World Bank. She is one of the founding directors of the Getty Center in Los Angeles, for which she initially formed and headed the Getty Vocabulary Program and later became director of the Getty Information Institute (GII). As director of GII, she oversaw the Getty’s flagship scholarly art history research databases existing at the time, including the Census of Antique Art and Architecture Known in the Renaissance, and Bibliography of the History of Art and the Getty Provenance Index. She positioned GII around the concept of universal access to images and art information and promoted national and international collaboration among institutions. The National Initiative for a Networked Cultural Heritage, Getty vocabularies, Categories for the Description of Works of Art, and Object ID are some of the products of her leadership. Eleanor serves on the advisory committees of the Department of Art and Archaeology at Princeton University, New Jersey; the EU’s Virtual Multimodal Museum project, and Marie Curie Research Program on the Initial Training Network for Digital Cultural Heritage, Limassol, Cyprus. 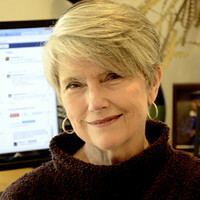 She is a former director of the Museum Computer Network and a former president of the Visual Resources Association. Why are the documents about the history and signposts of humankind locked in data silos when technology provides us with the opportunity to link data across domains! Linked Data is a method for publishing structured data so that it can be interconnected and with the application of a domain ontology provide precision in seeking specific information. With support from policy makers, we can now build an ecosystem for digital cultural heritage and connect the dots that tell the stories of where civilization originated, what civilization achieved, and what it can teach us. With these concepts as an inspiration, a consortium of fourteen U.S. institutions—thirteen museums and one archive, called the American Art Collaborative (AAC) worked together over the past three years to test and create a critical mass of LOD around the subject of the visual arts in America (http://americanartcollaborative.org/). Thanks to generous support from the Andrew W. Mellon Foundation and a national leadership grant from the Institute of Museum and Library Services, AAC has completed its first stage and has converted over 230,000 museum object records to LOD. The records are publicly available for scholars, curators, students, teachers, and developers through each of the participating institutions’ websites and a SPARQL endpoint at the University of Southern California. AAC’s approach has been to develop methodologies and open source tools that allow museums to build and maintain their own LOD as opposed to implementing an aggregation model. Since technical knowledge within the museum community varies considerably, AAC has been mindful to keep methodologies and tools as easy to adapt as possible. In addition to publishing over 230,000 LOD records from the fourteen institutions, AAC has developed a target model that has become the foundation for a community initiative now lead by the J. Paul Getty Trust under the name “Linked. Art.” This model is becoming a de-facto standard with adoption across the Getty, Canadian Heritage Information Network, National Museum of Australia, and others. Consistent with AAC’s approach to provide tools and resources that make production of LOD less complicated, Linked. Art helps museums interpret and apply the CIDOC CRM ontology. AAC also produced a guide to help the broader museum community engage in LOD. The guide includes, definitions, description of tools, data pipeline, target model, lessons learned, and twelve best practices recommendations needed to engage in LOD. This presentation will focus on sharing key lessons learned and good practices recommendations that cultural heritage institutions and policy makers need to know in order to avoid costly mistakes and make best use of LOD and related open source tools. Policy officer at DG GROW, Copernicus Unit I2, in charge of horizontal issues and cultural heritage, since November 2014. Anthropologist and sinologist by education, worked in the communication and European advocacy fields from 1980. Policy adviser in the European Parliament for Copernicus and other space, energy, research and environment programmes from 2004 to 2014. Policy officer in the Forward studies Unit of STOA (Scientific and technical options assessment) from July to October 2014. Space and related technologies have always been an enabling element for societal transformations. Copernicus, previously known as GMES, (Global monitoring for environmental security) is the European Union Earth Observation programme. Created as an answer to environmental challenges, as a tool to look from space at our planet changes, Copernicus has grown into a complex yet flexible geo intelligence system, and a source of big data for applications in many domains. Considering the role that Copernicus services already play in monitoring and protecting our natural and cultural environment, the programme's contribution could be further enhanced through a dedicated catalogue of products for the cultural heritage community. Constanze Fuhrmann is a digital humanities specialist who works as a researcher with the Competence Centre for Cultural Heritage Digitization at the Fraunhofer Institute for Computer Graphics Research. In the course of digital preservation of cultural heritage objects, she and her team develop innovative technologies for capturing, annotating and virtually reproducing artefacts in 3D. One example being CultLab3D, the leading modular system for high-resolution 3D scanning. Working at the intersection of arts and digital technologies, Constanze steers international cultural heritage projects with some of the world's most respected institutions. She has in-depth professional experience in heritage preservation and cultural policy, as well as in programme and project management. She is a trained conservator and holds a Master’s degree in Art history, Cultural Studies and History from Technical University and Humboldt-University Berlin, Germany, in addition to a Master of Science in Sustainable Heritage from University College London. 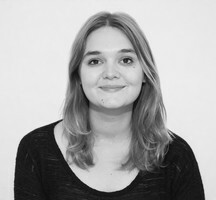 Constanze is a board member of the German Association for the Protection of Cultural Assets and is actively involved in the Research Alliance Cultural Heritage. She is also a member of various organisations such as International Image Interoperability Framework IIIF, Museums Association, ICOM, ICOMOS and Blue Shield. In recent years, digitization has emerged as a key topic for cultural institutions. With the growing interest of the humanities in the application of computer-aided processes (keyword: digital humanities), digital technologies have found their way into the work of museums. One motivator is the flagship project Europeana, which has been a key innovation project in the cultural field by the European Commission since its launch in 2008. The online platform aims to provide digital access, increase the visibility and foster the use of cultural artefacts in the 27 EU Member States for everyone free of charge. The number of cultural organizations involved is growing steadily, and in line with its objectives, Europeana already records more than 50 million digitised artifacts. As part of this ongoing digitization, the use of 3D-related tools is also increasing. 3D technologies continue to shape the future of museums and open up new op-portunities for the study, preservation and display of cultural heritage. From digi-tal archiving and innovative research techniques to AR/VR experiences and addi-tive printing, 3D technologies have a broad range of application and cultural her-itage institutions are now leveraging its potential in various ways. Examples in-clude the British Museum, which for the first time published 3D models of se-lected artefacts on its website via Sketchfab, or the Smithsonian, which has long recognized the possibilities of 3D documentation and aims to digitize 137 million objects. 3D technologies and post-processing tools are yet widely applied, including tech-niques for the acquisition and presentation of content. However, implementing 3D in practice is still a challenge due to missing guidelines and standards, a lack of funding or poor infrastructure for documentation and storage. With first 3D workflows established in several institutions, there is still a need for solutions to cope with adequate processing and handling of 3D data, especially when compu-ting 3D virtual models of artefacts in large quantities. In this context, further re-search is required on 1.) improved acquisition processes for optical material properties, 2.) 3D-centered and web-based annotation systems for object classifi-cation and metadata enrichment, 3.) technical solutions for long-term storage and standardized data formats and 4.) 3D visualization and 3D printing technologies. Against this backdrop, the talk presents current challenges related to 3D digitiza-tion combined with a bold look into research-related topics and to shape future work in this field. Thomas R. Kline advises clients on a wide variety of art, museum, and cultural heritage matters, including issues of ownership, theft, authenticity, breach of contract, insurance, and related disputes. Since 1989 he has practiced in litigation, arbitration, and dispute resolution, and he has represented governments, museums, churches, foundations, and families in recovering stolen art and cultural property. He also represents American museums and collectors responding to claims. Many of Tom’s cases have involved art objects that were looted in wartime from Cyprus, Germany, and elsewhere. He was awarded the Medal of Cyprus Technical University for protecting the cultural heritage of Cyprus and the Officer’s Cross of the Order of Merit of the Federal Republic of Germany (Das Verdienstkreuz des Verdienstordens). Tom is experienced in matters concerning art claimed to have been taken by the Nazis during World War II in the systematic looting of art owned by Jews and others. A nationally-recognized authority on Holocaust-related art claims, Tom has appeared before the Presidential Advisory Commission on Holocaust Assets in the United States, and he has helped clients resolve Holocaust-related claims both in and outside of court. Tom also advises clients on modern thefts from archaeological sites and on the illegal removal, export, and import of cultural artifacts. Tom writes and speaks on art, museum and cultural property issues and serves on the Advisory Board of the German/English publication Kunst und Recht. For fifteen years, he has taught a course in museums and cultural heritage at the George Washington University Museum Studies Program. All around us, cultural heritage and its physical manifestations are subject to threats of looting and destruction. These threats come from hatred and religious intolerance (as in the case of the Bamyan Buddhas and ISIL’s looting and destruction); simple greed; lack of protective measures; indifference (as in the case of military occupations in Iraq and Cyprus) and other causes. Such a multifaceted problem cannot have a single solution. The question for this conference is the role of documentation, particularly documentation in the form of advanced technology, in protecting and preserving cultural. High quality, reliable and authentic documentation has been critical to recoveries through judicial processes. With technology advancing by leaps and bounds, how will our legal systems deal with documentation generated by methodologies that did not exist only a few years ago. Generating a consensus among those in the science and technology communities is the key, which I will explore in my remarks. Graham is the UK national co-ordinator for 2018 European Year of Cultural Heritage and has been consulted on European Commission policy initiatives including Voices of Culture and Europeana’s strategic planning of digital cultural heritage. He is a regular contributor across Europe in international conferences and was a partner in an Erasmus+ project on cultural heritage management. As Director of NECT and a Hungarian foundation he is a ‘principled practitioner’, applying his expertise as architect, manager and educator to activities that yield public benefit. He is a board member of Europa Nostra, leading expert missions with the European Investment Bank Institute for the 7 Most Endangered programme. He champions traditional skills on the executive of the European Federation for Architectural Heritage Skills (FEMP) and is a longstanding specialist adviser to the UK National Trust. He was a founder member of Future for Religious Heritage and now advises the Foundation for Jewish Heritage. Cultural heritage exists in much longer time spans that economics and politics. That means our values take time to take shape. UNESCO’s Outstanding Universal Value is not a five year manifesto but an attempt to be objective across continents and eras. Cultural heritage is not created with that expansive canvas in mind, rather the intimacy of relationships between hand and eye, song and instrument, story and place. We cannot set out to create heritage but creativity and heritage are part of the same spectrum; true objectivity depends on seeing the full spectrum. For over fifty years Europa Nostra has been working to advocate the values of cultural heritage as that full spectrum, expressed through the rich European ‘bandwidth’ diversity of people, place and time. Held in conjunction with the European Union, its awards categories have broadened to encompass skills and the formative processes upon which cultural heritage relies. When those empathies and skills are missing, it created the 7 Most Endangered programme with the European Investment Bank Institute to highlight the risks and throw a lifeline. Now the spectrum is extending beyond the familiar visible world. Digital changes everything. This presentation reviews the core values of Europa Nostra, how those found expression through the awards, then application though programmes such as 7 Most Endangered, and it will look beyond the visible horizon to the values yet to be; can you see what I see? Thomas Krauss is head of the team for 3D modeling at the Remote Sensing Institute (IMF) of the German Aerospace Center (DLR) in Oberpfaffenhofen. He and his team developed fully automatic processing chains for extraction of high quality digital surface models from optical satellite stereo imagery. Using the now available very high resolution spaceborne sensors allows the reconstruction and 3D modeling of urban areas and also cultural heritage monuments with accuracies of 1 m and better from all over the world. One of the projects he is involved is ATHENA2020 using Earth observation and satellite imagery for the preservation of world cultural heritage sites. Thomas Krauss studied physics at the Technical University of Munich. Currently available very high resolution spaceborne imagery can be used for mapping and 3D modeling of archaeologic sites and monuments from all over the world. This allows also the continous monitoring, protection from natural and human threatening and may also be the base for virtual or real reconstruction of monuments. As an example it is shown how the world heritage site Palmyra is monitored from space and a virtual reconstruction of destroyed buildings can be done. For reconstruction standardized technologies starting from spaceborne 3D modeling down to airborne and terrestrial laser scanning, images and hyperspectral material analysis has to be joined together and standards have to be developed for interchange of virtual cultural heritage models. Gymnasium and Classic High School. Master Degree in Architecture at the Politecnico di Milano with honours (1989). Ph.D. in Geodetic and Topographic Sciences. Since 07/01/2016 Full Professor (Geomatics), Politecnico di Milano, Department of Architecture, Built Environment and Construction Engineering (dABC). Scientific Responsible of the GIcarus lab (4D BIM-GIS-SDI), Geospatial Information@Content modeling: Architectural heritage&built environment&EUrbanAtl@s Data Surveying (http://www.gicarus.polimi.it). EU 7FP and H2020 funded research projects. Traineeship Supervisor and Thesis Supervisor ERASMUS: NTUA (Athens, GR, Laboratory of Photogrammetry), Kul Leuven, CUT (Cyprus, Department of Remote Sensing) and others. Surveying, modelling and HBIM contracts and national researches (i.e. Royal Villa of Monza, Milan, Basilica di San Marco, Venice, Basilica di Collemaggio L’Aquila, Basilica di S.Ambrogio, Milan). Main research activities: Surveying and modelling of Architectural Heritage and Built Environment, Geoinformation data processing and management for the Societal Benefit Areas: 4D HBIM (Historical Building Information Model&management, Object Recognition-Reconstruction (ORR), multiscale data acquisition (SCANtoBIM, Laser scanner Lidar and Photogrammetry, multi-spectral RGB, Thermal Infrared and NIR images, UAV and satelite data). WEB GIS, BIM-GIS OpenData, BigData Hub, Virtual Hub APP implementation accessing and discovering Geographic Open Data, SDI, Scenario Simulation, Geoclustering for Building District Urban Environmental Energy Efficiency Data management. Internship programmes. 2016-2020 Polimi Scientific responsible and Executive Committee Member of Partnered Research Training Initiative ‘New Paradigm / New Tools’, Canada SSHRC (Social Sciences and Humanities Research Council, Canadian Government, Partnership Grants - Partnered Research Training Initiative Program). 2011-2016 ARCHDOC Architectural Heritage Documentation for Conservation, Kahosl University College Sint Lieven and RLICC (Unesco Chair on Preventive conservation and monitoring of monuments and Sites-KUL Leuven), Be, Teaching staff/ LLP Erasmus). 2013 and 2014, FORMAT-OE 2 years, 2013 and 2014, Funded ERASMUS IP, University of Leicester, UK, FORmation of Multi-disciplinary Approaches to Training in Earth Observation. 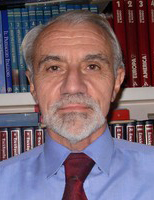 2009-2017 Member of the Scientific Board of the POLIMI School of DABC Doctoral Studies and 2001-2009 Department DIIAR. She teaches Innovative Surveying Techniques and Surveying&Modelling at the M.Sc.Arch and Ms.Building Engineering/Architecture at the SCHOOL OF ARCHITECTURE URBAN PLANNING CONSTRUCTION ENGINEERING (AUIC), 9th Int. QSUniversity Ranking; and at the Post-Graduate School in Architectural and Landscape heritage. Chair of GEORES2019, 2nd International Conference of Geomatics and Restoration,Milan 8-10 May 2019 (ISPRS and CIPA-ICOMOS event). She has authored more than 150 peer review scientific publications. -2012-14, member of the E2BA STEERING COMMITTEE, 2015-16 SCIENTIFIC COUNCIL E2BA (Energy Efficient Building Association, 2017-on course PB ECTP EEB PPP Private Public Partnership). -2006-09, International Scientific Board of UNESCO-OPEN FORUM Mesopotam Saranda (Albania), SR of the surveying campaign (2006-09 with Univ.Ca’ Foscari, Koc University, Istanbul). -ICOMOS Member (International Council on Monuments and Sites). In the last 50 years it has been progressively invested many efforts in the cultural heritage digitization by different subjects: surveying, modeling activities, diagnostic analysis and historic data collection of architectural heritage mainly acquired for the preservation process, but also during the restoration and construction site. Unfortunately, after the interventions, many of them are left abandoned in a latent status without any connection with the long life cycle of the historic architectures. And in the following interventions they are mainly lost, demanding time and cost to retrieve the collected data. Downstream of data without connections. HBIM, a gear to keep connected information and models across space and time allowing multi-actors co-working, is a challenging methodology of generating informative content model of the historical buildings to improve their knowledge, preservation and planned maintenance across the end life cycle management, transferring to the next generations. HBIM IN. BIM, born for new construction, are characterized by a linear process progressively conceived to enrich the level of detail of substantially ‘simple’ objects – following the building from the design phase till to the life cycle management; such logic needs to be completely reviewed to take in account the cultural heritage specificity, to embody the complexity of the stratification across the time and the specificity of the morphology related to the collected information and the unicity of each object. We need to deal with the complexity at the beginning of the preservation process. We need to reverse the process. The initial costs increase more than in the case of the new construction. Lowering costs and barriers in the generative phase, implementing new standards and open languages to improve a co-working sustainable flexible space for historians, restorers, multidisciplinary experts to met together, as well as building capacities, are just few of the challenging issues in the HBIM IN, during the data entry phase. HIM OUT. Once generated, HBIM represents enriched nodes requiring to be part of updatable networks, to connect such informative models among others, to generate libraries of objects, to gain all the models and information: cultural synapses overcoming the sum of information represents the cross cutting edge in order to allow the comparison of the different construction technologies, of the different architectural components, of the skilled workers, traditions, tangible and intangible values across the time and the space. HBIM can play the role of sentinels among past present and future. HBIM challenge is to start feeding virtual hubs of informative model where to collect, access and discovery new information and new knowledge through unexpected comparisons, reading permanencies and mutation over times. We have to start thinking to connect all the HBIMs, monuments, basilicas, temples, historical hamlets, artefact, archaeological sites, old infrastructures. The result will be the construction of updatable open data libraries: libraries of families, of object components, materials and construction techniques, as libraries of masonries, or covering systems, trusses, domes and vaulted system across the centuries, 3d model enriched by the construction techniques adopted in the different regions. It will allow to compare stone finishing, ancient habits, to gather documentation and picture of the skilled workers cutting the stones in the space from the Indo-European regions till to Egypt and Mediterranean areas, North Europe, it will allow to rediscover contamination among people and to circulate all such information among the citizens. To this purpose we have to start building new gazetteers and vocabularies, advanced metadata crawler able to catch information and to make them accessible by a large public of users. To do it HBIM will progressively interact with the XR (AR, MR, VR) integrating the richness of the informed models, implementing interactive tools to support real time sensors data acquisition for monitoring purposes and informed tourism. A new deal of a millennial panEU ‘pedia’ to bring together past present and future. Michael Klein has been active as CEO of 7 Reasons in the fields of virtual archaeology and digital cultural heritage for over two decades with a special interest to disseminate scientific knowledge to a broader audience. The media agency 7reasons is specialized in producing multimedia content for print and films, interactive applications as well as mobile applications and a broad range of other digital productions. While covering a wide field in terms of techniques applied and services offered, the company has specialised thematically in dealing with projects connected to cultural heritage and within this range especially historical, archaeological and museological research, reconstruction and education issues. 7reasons objective is not only to produce the final media in terms of a well-researched and scientifically backed animation, interactive application or representative short film, but also to aid scientific personnel during research with new methods and possibilities offered by computerized tools and simulations. - EU DG Research and Innovation’s steering committee for Innovators on Cultural Heritage. - the European Commission’s expert panel for a European Agenda for cultural heritage research and innovation (“Getting Heritage to Work for Europe”). - the expert panel to analyse of the potential future European Institute for Innovation and Technology thematic areas, societal challenges and their innovation potential; and their suitability for a EIT-Knowledge and Innovation Centre model. - the expert panel appointed by the EU Commission for evaluating new Flagships in Horizon 2020. - several of the European Commission’s expert panels concerning research and innovation, culture and cultural heritage issues, e.g. EU-China Mayors Forum, EU-Africa Summit, several EU presidency cultural heritage conferences. His trans-disciplinary research is focusing on boundary-spanning challenges and opportunities for cultural heritage as a driver for sustainable growth and heritage-led innovation-driven regional/urban development. At the moment, he is engaged in the EU Horizon 2020 project CLIC - Circular Models Leveraging Investments in Cultural heritage adaptive reuse as well as research on Fields of Creative Powers. He was also one of the founders of the Halland Model. The overarching goal of the trans-disciplinary research project is to identify evaluation tools to test, implement, validate and share innovative "circular" financing, business and governance models for systemic adaptive reuse of cultural heritage and landscape, demonstrating the economic, social, environmental convenience, in terms of long lasting economic, cultural and environmental wealth. We apply a new toolbox of techniques to analyze the cultural geography in West Sweden. We show how the analysis of the implicit space grammar of the distribution of the cultural activities and facilities across the regional territory allows us, on the one side, to extrapolate the complex dynamic evolution of the region’s cultural vibrancy, and on the other side, to diagnose the structural causes of the eventual decay of its vibrancy. This methodology can provide the basis of a more systematic approach to evidence-based cultural and cultural heritage policy design, and of a more participatory, bottom-up public decision making in the cultural and cultural heritage and in other policy spheres. Vasco Fassina graduated as a Chemist at the University of Padua (Italy) in 1971. Since 1975 he served the Italian Ministry of Cultural Heritage as expert in chemistry where was appointed as director, coordinator and scientific supervisor of the Scientific Laboratory of the Venice Superintendence. During 40 years of activity he planned and coordinated diagnostic studies dealing with the conservation of built heritage, wall paintings and movable cultural heritage objects at local and national level. Long experience in teaching/training activities as well as in the direction and coordination of training courses on cultural heritage at national and international level. He was involved for 25 years as teacher and coordinator of the biennial International Stone Conservation Course of UNESCO-ICCROM held in Venice. Teaching activities at International level as Visiting Professor: in the Sino-Italy cooperation Project “Training in the Restoration and Conservation of the Chinese Cultural Heritage” through the support of the Chinese Institute of Cultural Property (CNICP) of Beijing, in 2004 and 2007, in the International Course of University School of Monument Conservation in Rhodos, Crete, Ravello, for the Faculty of Architecture in Rosario (Argentina) and Salvador de Bahia (Brazil). In 2001 he was a Guest Scholar in the Conservation Programme at Getty Conservation Institute in Los Angeles and he was involved in the Advisory board for the conservation project of the Washington Square Arch in New York. 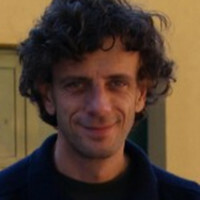 From 2006 to 2010 he was appointed as Italian national delegate in the management Committee of COST (European Cooperation in Science and Technology)-Chair WG3 in COST D42. In 2007-2008 he was appointed by the General Direction for Cooperation and Development of the Italian Foreign Affairs Ministry to evaluate the feasibility study for the establishment of Longmen Stone Relics Conservation Center and of Dazu Stone Monuments Conservation Center respectively located in the Middle and in the South West of China. From 2008 to 2012 he was appointed as President of the 12th International Congress on Deterioration and Conservation of Stone (New York, 2012). Since 2004 and ongoing he has been serving as Chairman of CEN/TC 346 the European Technical Committee for the standardisation in the field of conservation of Cultural Heritage. Since 2012 and ongoing he has been serving as Chairman of the National Commission UNI-Cultural Heritage. In the last 15 years he has been teaching chemistry applied to conservation and diagnostics techniques for investigation and conservation at Italian Universities and Academy of Fine Arts in Milano, Bologna, Napoli, Verona in the national training programme to graduate conservator/restorer professionals. He was editor and co-editor of several books and Symposia Proceedings dealing with the conservation of built heritage and wall paintings. He is author of more than 300 publications on deterioration of mural paintings, historical monuments, outdoor sculptures and on environmental survey published on Italian and International Scientific Journals, Congresses and Symposia. 30 years of invited lecture at International Conferences and Workshops on the role of air pollution in the stone and marble decay processes as well as to speak on the problems of conservation of mural paintings and outdoor sculptures. Actually is teaching in the Academy of Fine Arts of Brescia and Naples in training programme to graduate conservators/restorers and is Chairing the European TC 346, Conservation of Cultural Heritage. A specific European standardisation activity in the field of conservation of cultural heritage is essential to acquire a common unified scientific approach to the problems relevant to the preservation and conservation of the cultural property. Only thanks to a sound scientific knowledge of the materials constituting the cultural property, of its environmental and conservation conditions, these conservation/restoration works can be successfully carried out. The use of standardised methodologies and procedures would promote the exchange of information, would avoid the risk of duplication and foster synergy between the European experts and specialists involved in the preservation activity. The main objective of CEN/TC 346 is drafting European standards which will help conservation professionals in their conservation and restoration work. It will also ensure that European experts can exchange information on test and analysis methods for the conservation of cultural heritage. This standardisation activity will harmonise and unify methodologies in the European area. Actually standards are being established on a need-based approach in the fields of the processes, practices, methodologies and documentation of conservation of tangible cultural heritage to support preservation, protection, and maintenance and to enhance its significance. This includes standardisation on the characterisation of deterioration processes and environmental conditions for cultural heritage, and the products and technologies used for the planning and execution of their conservation, restoration, repair and maintenance. This standardization is addressed to all parties concerned with the individual subjects covered by the standards including owners, stakeholders and users of cultural heritage (monuments, museums, archives, libraries and collections) as well as peer groups such as architects, custodians, archaeologists, engineers, planners, conservators-restorers, craftsmen, conservation scientists, energy advisers, national authorities, transport and insurance companies, etc. One of the major risks in the development of standardization activity in the field of conservation of cultural heritage is the problem of finding funding and planning budgets to finance the activity of the relevant experts involved in the work. Most of the experts involved in the conservation field work for SMEs or small specialist departments in academic institutions / quasi-government agencies where securing funding for new projects is difficult and always needs to be agreed and budgeted well in advance. The fact that resources are limited across Europe makes it essential that there is prioritization of Work Items and standards to insure the most important ones are completed. We believe that European Commission or COST or other European organizations should be aware of the importance of the results obtained by CEN TC 346 during 14 years of activity and we are expecting a financial support for the survival of the activity and especially for the future challenges. DANIEL BLERSCH, dott.arch. (University of Florence) is application engineer for 3D laser scanning technology, workflows and market development at Zoller + Fröhlich GmbH and joins the development team since 2011. He has expertise in process development for digital heritage and TLS-based AEC documentation, as well as in R&D coordination. 3D laserscanning has been widely integrated into the data capturing procedures of heritage assets, but yet the adaptions of the technology to the specific requirements of heritage documentation have merely been seen in some post-processing software solutions. The documentation of heritage assets gives particular attention to non-spatial data which is collectible already from the start of the survey, but currently dedicated holistic solutions from the side of the hardware manufacturers are missing. Optimization for heritage applications of the scanner’s firmware and its controlling pre-processing software may complete the data collection chain significantly. Traceability of metadata and reproducibility with paradata can be brought to a higher level and improve consistency in the H-BIM modeling process. A structured archiving system of all data (spatial, meta- and paradata) starting from survey planning allows efficient use of the enriched point cloud data for the creation of H-BIM models without loss of information. As established manufacturer of Lidar technology and industrial partner within the INCEPTION research project, Zoller + Fröhlich GmbH has developed an optimized 3D laser scanner system with time-saving procedures for data capturing and processing for heritage documentation. This lecture illustrates key improvements in 3D Laserscanning documentation for heritage assets concerning: project planning, control tools for data quality/completeness during survey, reduction of data interferences by site visitors, on-site integration of different capturing systems, traceable tagging and reporting. INCEPTION is an onging EU funded research project of H2020.